“Wow. What an amazing last 48 hours. I can’t stop watching,” tweeted Brad Parscale, Trump’s 2020 campaign manager, adding a smiling face emoji. Trump billed himself as the ultimate winner, the man the establishment couldn’t slay despite bankruptcies, personal scandals and feuds. Now he’s gone up against the greatest prosecutor of his generation, Mueller, the ultimate straight-arrow son of the establishment — and survived, a feat that’s certain to bolster his political legend among supporters. The Trump associates who are going to jail thanks to Mueller’s probe or have been exposed as felons are just so much collateral damage. Because with Trump, what doesn’t defeat him makes him stronger. And he’s unquestionably enjoying his best few days since winning the 2016 election. A presidency born in scandal and that often struggles to make it to the end of the day without another norm-busting outrage or political disaster is, unusually, breathing pure political oxygen. Each of these triumphs comes with caveats and brings fresh challenges, however. The absolute validation claimed by the White House from Mueller is in reality far more problematic than Trump claims. No one outside the Justice Department has even seen Mueller’s full report yet, meaning that Trump’s attorney general, William Barr, got a jump on setting the political narrative with his summary. Trump has already been damaged by Daniels — effectively being tagged as an unindicted co-conspirator in a campaign finance crime admitted to by his ex-attorney Michael Cohen. And if there is any winning in shattered Syria, it’s down to the sacrifices of US and allied troops, not cheerleading politicians in Washington. But in politics, perception is all important. Trump’s aides spent most of the day in the West Wing on Monday beaming with relief. And the President is suddenly seeing victory everywhere. A day after he learned that Mueller could not find enough evidence to accuse him of collusion with Russia and would not decide whether he had obstructed justice, Trump welcomed the NHL Stanley Cup champions to the Oval Office. “They’re winners. They know how to win,” the President said of the Washington Capitals franchise, which finally broke its futility streak last June. As is often the case when he praises others, Trump seemed to be identifying qualities that he believes he possesses, in unheard of quantities, himself. The question now is what does Trump do with his victory? A conventional political play would be to seek to bind the nation’s political wounds and broaden his support above the solid ceiling in the low 40% polling range that rarely ebbs but may not be enough to win re-election. But Trump always rejects conventional presidential behavior. 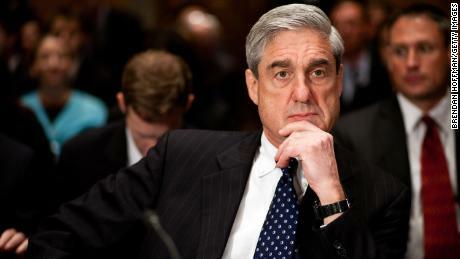 In fact, his willingness to do so helped ignite his Mueller nightmare with the firing of FBI Director James Comey, which led to the appointment of the special counsel. 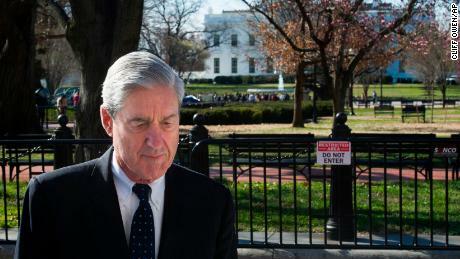 It seems likely that the lesson he will learn from his apparent reprieve from Mueller is that there is no price for indulging his instincts, a reality that sets up what is likely to be a vicious and combative run into 2020. Trump was already unchained, given the departures of blue-chip Cabinet appointees seen as restraining influences and given his dominance over the Republican grass roots and capacity to crush dissent within his party. It’s clear now that he sees his brush with political mortality as validation for an aggressive leadership style rooted in sweeping executive power and the practice of humiliating his political enemies. On Monday, while meeting with Israeli Prime Minister Benjamin Netanyahu, Trump seemed more sour than jubilant at an outcome from the Mueller investigation that looked unlikely as recently as last week. “There are people out there that have done some very, very evil things, very bad things — I would say treasonous things — against our country,” Trump warned. “Hopefully the people that have done such harm to our country — we’ve gone through a period of really bad things happening — those people will certainly be looked at,” he said. It was not clear who the President was referring to. But he has often railed against former members of the Obama administration, Comey, former intelligence chiefs and the past leadership of the Justice Department. His remarks raised the troubling prospect of a sitting President using his power to pursue retribution against political foes — a reality that would once again tear at the guardrails that have traditionally surrounded the presidency. Trump aides went out of their way to attack the media, claiming it had misreported allegations of Russian collusion all along, and vowed to hound Democrats over the issue in the run-up to the 2020 election. The risk for Trump is that some voters — especially those in crucial swing districts in the suburbs in the 2018 midterm elections — rejected the President’s constant warfare and inflammatory rhetoric. Going into the 2020 race with a similar approach, rather than a positive message about the healthy economy, would worry many GOP strategists. Trump’s opponents point out that the victory delivered to the President by Mueller is far less clear cut than the White House says — even as some are forced to admit that the prosecutorial judgment Mueller rendered is sound, despite broad evidence of suspicious contacts between Russians and Trump associates. Even Barr’s brief summary of the Mueller report did not fully “exonerate” Trump on obstruction as the White House claimed it did, characteristically stretching the truth. Democrats are demanding that Barr release the full report to allow them to examine the evidence that Mueller found for obstruction of justice in particular — so they can make their own judgment on whether it merits impeachment. 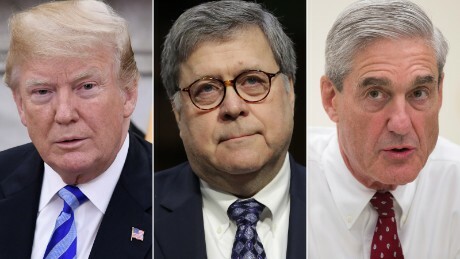 They are also crying foul because Barr was nominated by Trump after writing an unsolicited memo arguing that Mueller’s obstruction investigation was fatally misconceived. 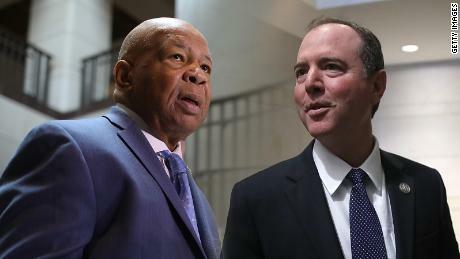 “He has now done the job that he applied for, which is attempt to exonerate Mr. Trump when Mr. Mueller said no exoneration was in order,” House Intelligence Chairman Adam Schiff, a California Democrat, told CNN’s Manu Raju. The quality of Trump’s victory could be dented once details of Mueller’s findings emerge, if they include substantial evidence of ethically questionable behavior that falls just short of a criminal standard. But for now, the shocking central fact of the Russia investigation — that the President was elected with the help of a hostile foreign power, Russia, in a brazen assault on American democracy — is lost in the shuffle in Washington. That may be Trump’s biggest win of all.